Spot quotations averaged 70 points higher than the previous week, according to the USDA, Agricultural Marketing Service’s Cotton and Tobacco Program. Quotations for the base quality of cotton (color 41, leaf 4, staple 34, mike 35-36 and 43-49, strength 27.0-28.9, and uniformity 81.0-81.9) in the seven designated markets averaged 72.51 cents per pound for the week ending Thursday, April 11, 2019. The weekly average was up from 71.81 last week, but down from 79.55 cents reported the corresponding period a year ago. Daily average quotations ranged from a high of 73.46 cents Monday, April 8 to a low of 71.52 cents Thursday, April 11. 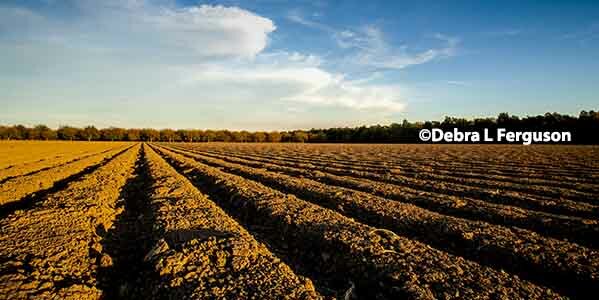 Spot transactions reported in the Daily Spot Cotton Quotations for the week ended April 11 totaled 47,424 bales. This compares to 39,609 reported last week and 39,459 spot transactions reported the corresponding week a year ago. Total spot transactions for the season were 1,072,875 bales compared to 1,771,816 bales the corresponding week a year ago. The ICE May settlement prices ended the week at 76.98 cents, compared to 77.32 cents last week. The Department of Agriculture’s Commodity Credit Corporation announced a special import quota for upland cotton that permits importation of a quantity of upland cotton equal to one week’s domestic mill use. The quota will be established on April 18, 2019, allowing importation of 12,157,032 kilograms (55,836 bales) of upland cotton. Quota number 25 will be established as of April 18, 2019, and will apply to upland cotton purchased not later than July 16, 2019, and entered into the U.S. not later than October 14, 2019. The quota is equivalent to one week’s consumption of cotton by domestic mills at the seasonally-adjusted average rate for the period December 2018 through February 2019, the most recent three months for which data are available. 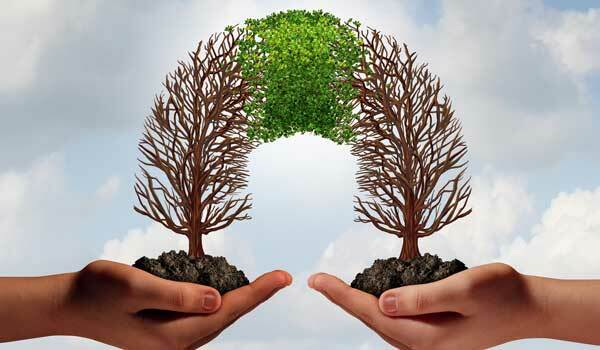 Future quotas, in addition to the quantity announced, will be established if price conditions warrant. Spot cotton trading was inactive. Supplies and producer offerings were moderate. Demand was moderate. Average local spot prices were higher. Trading of CCC-loan equities was inactive. Mostly cloudy conditions prevailed across the lower Southeast region during the period. Daytime high temperatures were in the upper 70s to mid-80s, nighttime lows were in the low to high 60s. Widespread shower activity brought moisture to areas throughout Alabama, the Florida Panhandle, and much of central Georgia throughout the week. Weekly accumulated precipitation totals measured from 1 to 2 inches, with heavier totals observed in portions of northeast Alabama. Producers welcomed the moisture in areas where moderate drought conditions have recently expanded. Local experts reported that planting had begun in a few fields before rainfall halted fieldwork. Producers also applied burndown and fertilizer. Planting activity should expand as soil temperatures rise in the weeks ahead. Cloudy conditions dominated the weather pattern across the Carolinas and Virginia during much of the period. Daytime high temperatures varied from the low 70s to mid-80s throughout the week. Over the weekend and during the week widespread showers brought moisture throughout the Carolinas and portions of Virginia. Precipitation totals measured from one-half of an inch to one inch of moisture. Along the South Carolina coast, producers welcomed the moisture which helped alleviate moderate drought conditions. The rainfall interrupted field preparation. Producers applied burndown and fertilizer in areas where dry conditions allowed fieldwork to continue. Domestic mill buyers inquired for a moderate volume of 2019-crop cotton, color 41, leaf 4, and staple 35 and longer for November/December delivery. No sales were reported. No additional inquiries were reported; most mills had covered their immediate-to-nearby raw cotton needs. Most mills operated five to seven days. Demand through export channels was moderate. Agents for mills in India inquired for a moderate volume of color 41, leaf 4, and staple 36 for nearby shipment. Indonesian mill buyers inquired for a moderate volume of low grade styles of cotton for nearby shipment. No sales were reported. The undertone from mills buyers remained cautious as they continued to monitor developments in the trade talks between China and the U.S.
No trading activity was reported. Spot cotton trading was slow. Supplies of available cotton and demand were light. Average local spot prices were higher. Trading of CCC-loan equities was inactive. No forward contracting was reported. Warmer, spring-like conditions characterized the weather during the reporting period. Daytime temperatures were in the 60s to 80s. Overnight lows were in the 40s and 50s. A severe weather system moved through the area mid-week. Tornado warnings were issued for the Memphis area; minor damage from downed trees and limbs was reported. Up to 2 inches of rain were reported generally, with isolated areas reporting as many as 5 inches of precipitation. The unnecessary moisture hindered fieldwork and exacerbated saturated soil conditions. The National Weather Service issued a wind advisory late week as another winter storm moved into the region. More rainfall was in the extended forecast. Producers continued to prepare for the planting season; aerial applications of burndown herbicides were applied to a few fields. 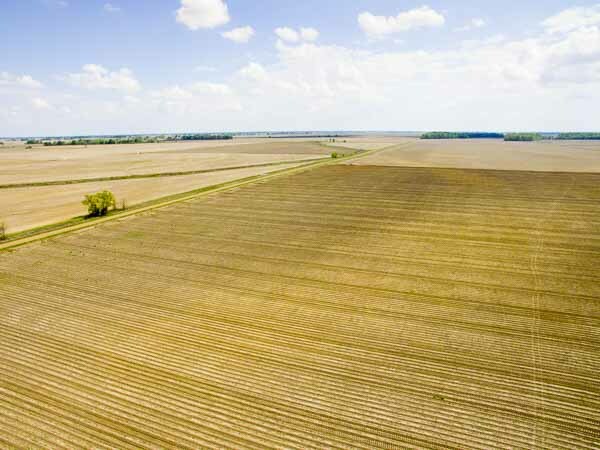 Estimates by local experts of potential cotton acreage varied; producers continued to weigh their options while monitoring field conditions and commodity prices. Spot cotton trading was slow. Supplies of available cotton were moderate. Demand was light. Average local spot prices were higher. Trading of CCC-loan equities was inactive. No forward contracting was reported as merchants continued to clear remaining inventory. Producers monitored commodity markets and international trade developments as planting season approaches. Warmer, spring-like conditions characterized the weather during the reporting period. Daytime temperatures were in the 70s and 80s. Overnight lows were in the 50s and 60s. A severe weather system moved through the area early week. Tornado warnings were issued by the National Weather Service for most of northern Mississippi; downed power lines from falling limbs and downed trees were reported in isolated areas. Most areas reported 3 inches of rain generally, with localized places receiving as many as 8 inches of precipitation. The National Weather Service issued a wind advisory late week as another winter storm moved into the region. Saturated soils and flood conditions delayed outdoor activities, but some fieldwork was completed on higher ground, and on fields with light-textured soils. Acreage intended for corn, but not planted due to saturated soil conditions, will be switched to cotton or soybeans. 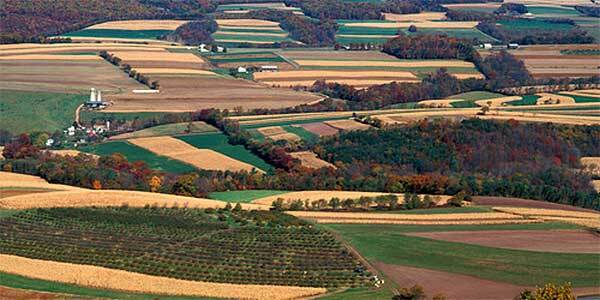 Aerial applications of burndown herbicides were applied to some fields. A mixed lot containing a light volume of color 43 and better, leaf 3 and better, staple 35 and longer, mike 47-54, strength 28-31, and uniformity 79-83 traded for around 70.50 cents per pound, FOB car/truck (Rule 5, compression charges paid). A light volume of color mostly 41 and better, leaf 4 and better, staple 36 and longer, mike 37-52, strength 28-33, uniformity 79-83, and 100 percent extraneous matter (plastic) traded for around 54.75 cents per pound, FOB car/truck (Rule 5, compression charges paid). Spot cotton trading was active. Supplies and producer offerings were moderate. Demand was moderate. Average local spot prices were higher. Producer interest in forward contracting was light. Trading of CCC-loan equities was active. Foreign inquiries were moderate. Inquiries were best from Taiwan, Thailand, and Turkey. Some fields had begun to square in the Rio Grande Valley (RGV). Aphids increased, but so did the beneficial lady bugs. Storms brought up to 2 inches of rain and hail to south Texas and the RGV early in the reporting period. 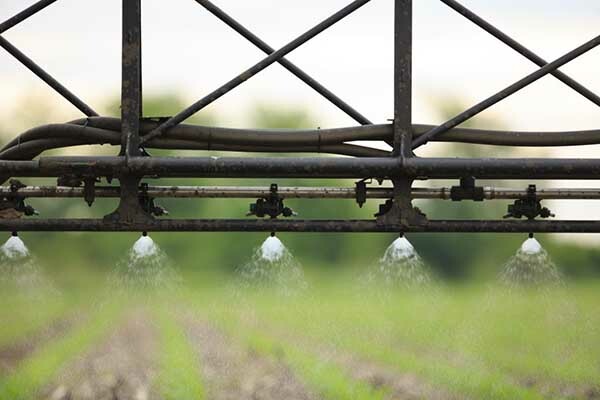 Soggy conditions slowed planting in south Texas. Heavy rainfall was received in east Texas, which caused some structural damage and left neighborhoods without power. Some areas received up to 5 inches of rain. 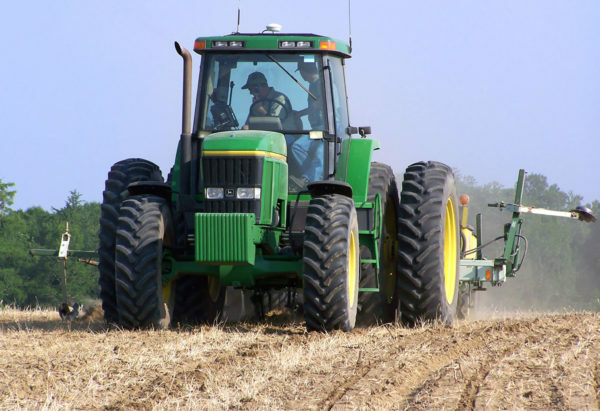 Some fields were flooded, but planting was ongoing in some areas of the Blackland Prairies. In Kansas, ginning continued intermittently around periods of windy conditions. Modules were transported from fields to the gin yards. Fieldwork was active in Kansas with fertilizer and herbicide applications. Oklahoma cotton planting was 2 percent completed, up 2 percent from the previous year and up 2 percent from the five-year average, according to the National Agricultural Statistics Service’s Crop Weather report issued on April 8. Ginning of the 2018-crop continued. 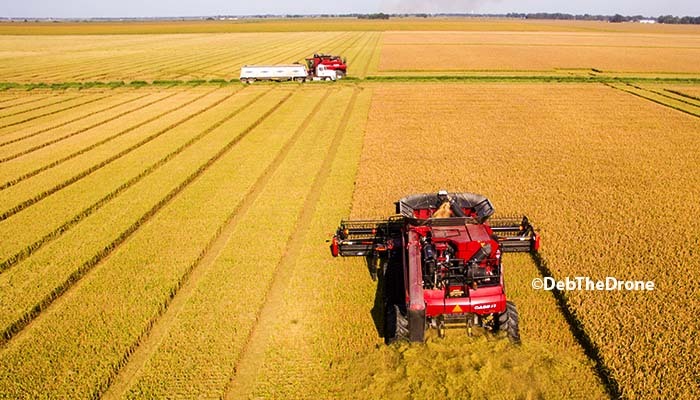 Fieldwork for the 2019-crop was active, and producers were killing the cover crops. Spot cotton trading was moderate. Supplies and producer offerings were moderate. Demand was moderate. Average local spot prices were higher. Producer interest in forward contracting was light. Trading of CCC-loan equities was active. Foreign inquiries were moderate. Inquiries were best from Taiwan, Thailand, and Turkey. Daytime high temperatures were in the upper 50s to low 90s, and overnight lows were in the upper 30s to low 50s. A storm brought one and three-quarters of an inch of beneficial rainfall early in the reporting period. A low pressure system brought intense winds up to 74 miles per hour on April 10, which caused low visibility, multi-vehicle accidents, and highway closures. The area received rainfall, but topsoil and subsoil remained dry. The Lubbock Classing Office classed the last bale of the season. Attention was given to post-season maintenance of laboratory classing equipment. Producers booked seed for the 2019-planting season. Gin personnel were busy conducting equipment repairs ahead of the next ginning season. In Texas, a mixed lot containing a light volume of color 51 and 52, leaf 3 and 4, staple 37 and 38, mike averaging 48.7, strength averaging 31.7, uniformity averaging 80.0, and 25 percent extraneous matter sold for around 65.00 cents per pound, FOB warehouse (compression charges not paid). In Oklahoma, a heavy volume of mostly color 31, leaf 2 and 3, staple 37, mike 35-52, strength 26-32, and uniformity 78-82 sold for around 78.50 cents, FOB car/truck (compression charges not paid). In Kansas, a heavy volume of color 31, leaf 4, staple 36 and 37, mike 35-46, strength averaging 30.0, and uniformity 79-82 sold for around 72.00 cents, same terms as above. A heavy volume of CCC-loan equities traded for 13.75 to 18.25 cents. Mixed lots containing a heavy volume of color 41 and better, leaf 2-4, staple 35 and longer, mike 35-50, strength 26-34, and uniformity 78-82 sold for around 78.50 cents per pound, FOB car/truck (compression charges not paid). A moderate volume of mostly color 31, leaf 3, staple 36 and longer, mike 38-48, strength 26-34, and uniformity 78-84 sold for around 78.00 cents, same terms as above. A light volume of mostly color 31 and 42, leaf 7 and better, staple 36 and 37, mike 39-47, strength 29-33, uniformity 79-80, and 75 percent extraneous matter sold for around 62.50 cents, same terms as above. A heavy volume of CCC-loan equities traded for 8.25 to 15.50 cents. Spot cotton trading was inactive. Supplies and demand were moderate. Average local spot prices were higher. No forward contracting or domestic mill activity was reported. Foreign mill inquiries were light. Temperatures were in the 80s early in the week for central Arizona. Unseasonably warm conditions pushed temperatures into the high 90s mid-week. A cold front brought strong, gusty winds, which created dust storm conditions. Strong winds idled planters and halted pre-plant preparations. A red flag warning was issued for central Arizona, due to gusty winds and low humidity. Local sources reported a few acres were planted in central Arizona early in the period. The Yuma crop made good progress. Temperatures were mostly in the 80s for New Mexico and El Paso, TX. Late week, high wind warnings and red flag warnings were in effect as strong winds kicked up dust. Field activity was limited. Spot cotton trading was inactive. Supplies and demand were light. Average local spot prices were higher. No forward contracting or domestic mill activity was reported. Foreign mill inquiries were light. Temperatures were mostly in the 70s. Unseasonably warm conditions pushed temperatures into the low 80s mid-week. A cold front brought strong winds, but no moisture to the Valley. Planting activity was temporarily halted. Local sources estimated 30 to 50 percent of the crop was planted. Sources reported acreage was down in Kern County, due to an increase in almond tree plantings and silage corn. Local dairies offered attractive contract prices for corn silage. Spot cotton trading was inactive. Supplies were moderate. Demand was light. Average local spot prices were steady. No forward contracting or domestic mill activity was reported. Foreign mill inquiries were light. Temperatures were in the 70s to 80s in the Far West. Planting was active in central Arizona and California, until a late week cold front brought strong winds and produced dusty conditions. Initial planting began in Safford, AZ. The crop made good progress in Yuma, AZ. New Mexico and El Paso, TX producers prepared fields for planting.